On this day in 1912, the Carlisle Indian School (Pennsylvania) faced off against college football powerhouse Army. On one side stood a team captained by football legend Jim Thorpe that used its speed and ingenuity to achieve a 9-0-1 record going into the game. On the opposing side was a team that had future U.S. president and Supreme Allied Commander Dwight D. Eisenhower on its roster and used its plethora of substitutes and size to earn a 3-1 mark. Two months before, Thorpe was called the “the world’s greatest athlete” by King of Sweden Gustav V, after winning gold in the decathlon and pentathlon at the 1912 Summer Games. 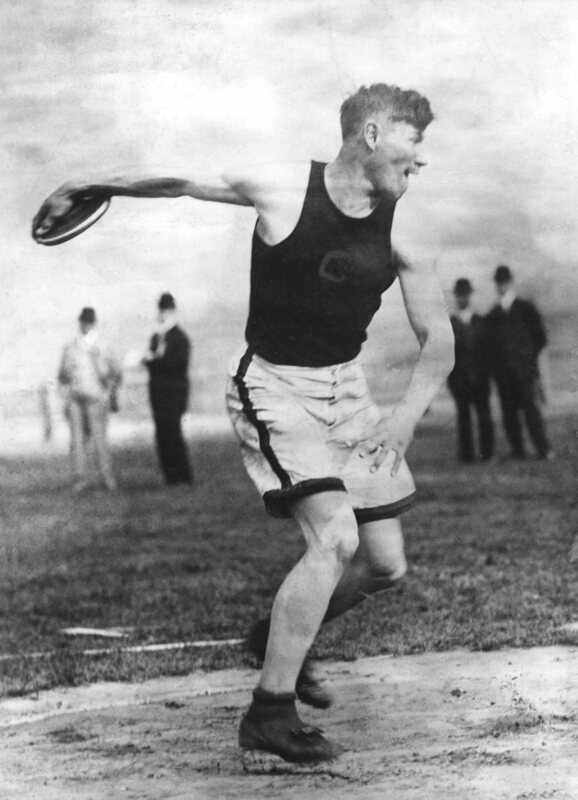 American footballer and athlete Jim Thorpe (1888 – 1953) competing for Carlisle Indian Industrial School at the US Olympic trials in Celtic Park, New York, 18th May 1912. Carlisle often traveled to the opposing schools because there was a bigger payday for the school, as it was not permitted to charge patrons as a result of it being an Army installation. And the team arrived at West Point that day to about 3,000 fans — 7,000 fewer spectators than the first game the two teams played in 1905. Although, Carlisle played all 12 of its players on both sides, the team also had the advantage of being coached by Glenn “Pop” Warner, who developed the single-wing formation, which allowed his running game to thrive, because the quarterback could also double as an additional blocker. 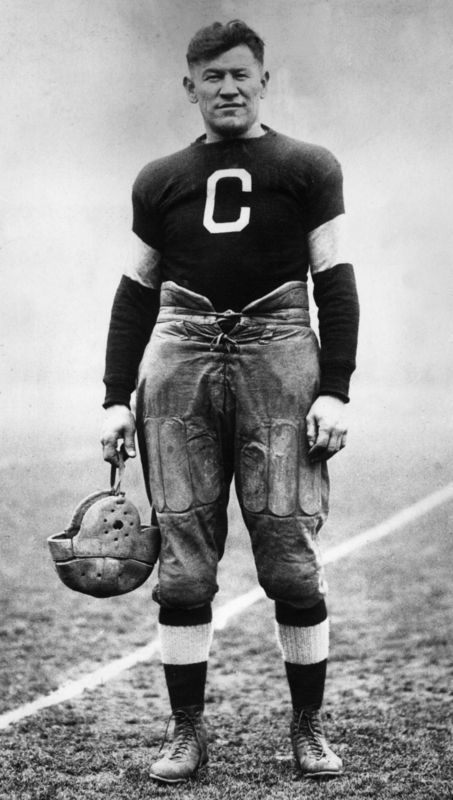 Full-length portrait of American athlete Jim Thorpe posing in a football uniform on a field. In the second quarter, Army advanced the ball to Carlisle’s 25-yard line, thanks to an unsportsmanlike conduct penalty on Carlisle fullback Stancil Powell, who punched Army’s Vern Pritchard. This set up the Cadets for the first touchdown — and their only points — of the game. The first half concluded with leading Carlisle, 6-0. Then in the second half Army one-upped Carlisle’s personal foul with one of its own, when All-American right tackle Leland Devore got unnecessarily rough with Carlisle left tackle Joe Guyon. Devore was booted from the game. Thorpe, who ran all over Army in the first half but was kept out of the end zone, was not to be denied in the second half. He accounted for two touchdowns and kicked three goals, which lifted Carlisle to a 27-6 victory. While the football team was one of the bright spots for the school, the overall institution of the Carlisle School and what it represented are reprehensible. Native American children were taken from their homes from across the country and subjected to cultural genocide, which stripped them of their native languages and traditions. Children were given white names and buried with those white names at the school’s cemetery. To this day, the bodies of these children have yet to be returned to their families or native lands, though progress is allegedly being made on that front, according to The Sentinel. In May, the U.S. Army promised to pay to move and re-bury the remains of at least 10 Native American children to the Rosebud Indian Reservation in South Dakota. The children died more than a century ago at the Carlisle Indian Industrial School.